I have loved every book that Aurora Rose Reynolds has written, so I was not surprised one bit to find that I loved Justified, her newest novella and the first installment in her Alfha Law Series. 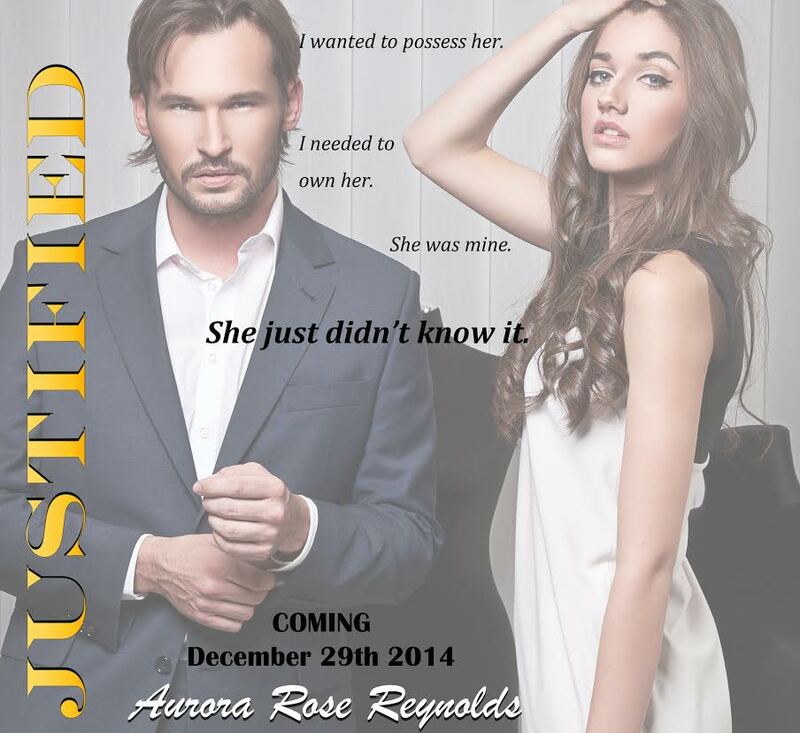 Justified (Alfha Law #1) by Aurora Rose Reynolds was one firecracker of a novella. This book was hot with a capital H, and it takes you on one hell of an alpha male ride. Justified is packing a whole lot of punch to it, so don’t worry one bit that you won’t get one helluva story packed into this fantastic novella. Justified is going to give you everything you want and need within its well written and seriously heated pages. The wham bam thank you ma’am. This novella just hits the ground running, and it doesn’t stop until the very last word. I loved that I was thrown right into the thick of it and straight into all that heat. This novella is fast paced, searing hot, and you will be hooked into all of that immediately. All of that combined to make this novella impossible to put down. Holy hot alpha male. Nolan is definitely an alpha male to a T. He’s possessive, protective, strong willed, and stubborn, and I for one couldn’t get enough of him. I loved that this novella was completely his perspective, as it was fantastic to spend the whole thing in his head. Let me tell you, that man has one highly intriguing head. You also get to feel everything he feels for Chloe, and that just won me over times ten. That man feel so fiercely with all of he has, and you will feel that over and over again. It also kind of helps that the words coming out of his head are nothing short of melt worthy, so I pretty much guarantee Nolan will have you melting in no time. Brimming with feeling. This novella really packs a punch. It’s a quick read, but it doesn’t lack one bit with the amount of feeling it will have you experiencing. Nolan, Chloe, and their story pack a ton of emotion and feeling with them, and you will feel that in so many ways which is beyond enthralling. In their words, their actions, their feelings and emotions, their vulnerabilities, you will feel the depth of love they share and it’ll just warm your heart among other places. The firework worthy chemistry. Chloe and Nolan have such a fiery chemistry together and you are thrown right into all of that headfirst. That connection just exemplifies all that they feel for one another, and I’m telling you you’re going to feel all that heat and fireworks for yourself when you read this novella. All of those fireworks just helps the love these characters have leap off the page. Those fireworks are explosive, and hot, and so effing good to look at too, so be ready to experience their full glory in Justified. Justified is a novella that is short, hot, and to the point, but it is brimming with all of that emotion, feeling, heat, love, and alpha male goodness that will make you swoon. It’s also got two characters with plenty of personality that just didn’t quit. It’s a solid read, and I for one can’t wait to read where the future novellas in this series take some of the other characters, as well as Nolan and Chloe. Giveaway — $50 Gift Card (2 Winners) Click the link below to enter! !